The village of Rowsley in Derbyshire is split into parts. Great Rowsley, or Rowsley South is situated on the A6 Matlock to Bakewell road and Little Rowsley on the side road to Chatsworth. The Peacock Hotel in the centre of the main part of Rowsley is an impressive mid 17th century building, popular with anglers fishing the rivers Wye and Derwent. It was originally built for a John Stevenson, an agent to the Manners family at nearby Haddon Hall, and the pediment above the doorway still retains the inscription 'John Stevenson 1652'. 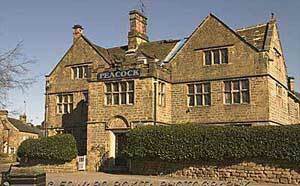 Rowsley's other hotel, the Grouse and Claret, was formerly known as the Station Hotel. It was built after the arrival of the railway to Rowsley in 1849. The old railway has long been gone but steam trains now run to Matlock, passing through Darley Dale. This is part of the Peak Rail's plan to re establish a line from Buxton to Matlock. The trains run on Sundays throughout the year, Saturdays from April through to October and everyday during the summer holidays. On selected dates they also run a dining car and provide Saturday Evening meals and Sunday lunches. There are other special events throughout the year. Rowsley Parish Church of St Katherine is relatively new and dates from 1855. Villagers previously had to use the churches at either Bakewell or Beeley. It contains the tomb chest of Lady Catherine Manners, the first wife of the 7th Duke of Rutland, who died in 1859. 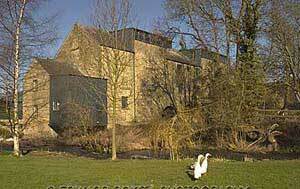 Caudwell's Mill is a grade 11, listed, historic roller flour mill. 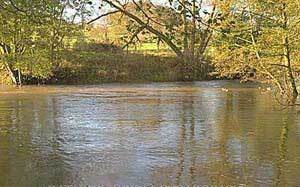 A mill has stood on this site for over 400 years, powered by water from the river Wye. The present mill was built in 1874 by John Caudwell and run as a family business for over a 100 years. It is spread over 4 floors of the building and usually turns daily. Most of the machinery is pre 1914 and still driven by a system of belts and pulleys from line shafts. It is powered by 2 water turbines, one to drive the mill, the other generating electricity used in the mill. The mill shop sells a range of freshly milled high quality flours. There is also a Country Parlour Cafe and a craft centre with workshops including glass blowing, wood turning, furniture restoration and a Blacksmiths. 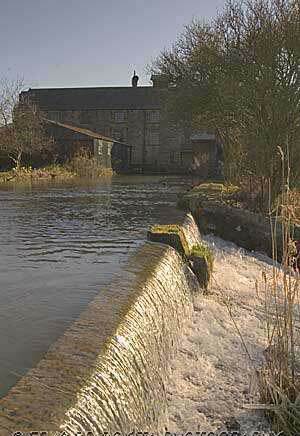 The mill is open daily from the 1st March to the 31st October and at weekends from November to February. There is also a nature trail. 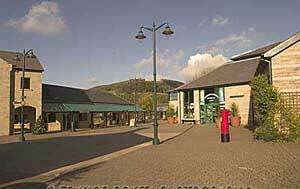 Peak village is a factory outlet shopping centre situated at Rowsley. Aside from shops, it houses a coffee shop and restaurant. Peak village is open daily throughout the year. The village has a thriving school and holds an annual fete in June with Well Dressing and a flower festival in the church.